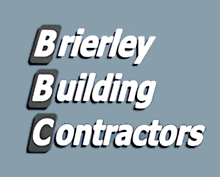 Welcome to our website, we are an experienced building contractor in Barnstaple, North Devon working throughout the local area including Bideford, Torrington, South Molton and the whole of Devon and the South West. Our services are available for both Domestic and Commercial which includes Extensions, Renovations, New Builds, Roofing, Conversions and Mobility work. We provide a comprehensive building service from the groundworks to the roofing and plastering. This means you only have to deal with one company during larger projects and you know who to contact with any questions you have. We are now working with another company installing all types of log burners, open fires, gas burners and many more. Hetas registered and very high standards set. Chimney maintainence also offered which includes, re-pointing, re-rendering, sweeping, re building. With all of our services we provide the highest quality work along with reliability in working to deadlines. We keep our clients informed of progress of the work being carried out at every step of the way and involve them in any decision making that is required. If you have any questions or would like a free no obligation quotation contact us today our friendly, professional staff will be happy to take your call. Builders in Barnstaple working throughout the South West.